After Bethel Church’s 97 day service asylum fillibuster, Netherlands officials are now granting the Tamrazyan family permanent residency. One hundred thirty-nine thousand, six hundred minutes – that’s one way to measure the incredible feat that has saved the lives of five Armenian immigrants, the Tamrazyan’s, who have now been granted permanent resident permits to stay in The Netherlands indefinitely. For thousands of minutes – or, more conventionally, 97 days – the Protestant Bethel Church and Community Center’s pastors kept church service going nonstop to prevent the deportation of the Tamrazyan family. It is clear now that their acts were not in vein. 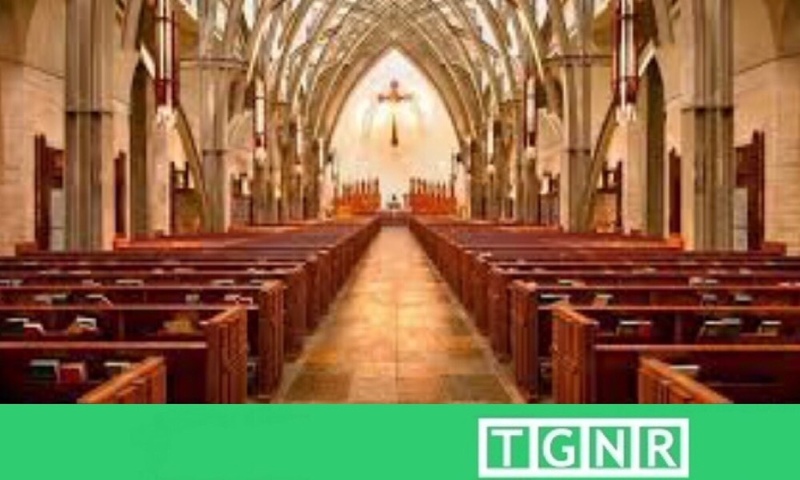 After exhausting their options to legally stay in The Netherlands – two asylum denials overturned in court followed by a third, final denial – the Tamrazyans sought protection first in their local church before transferring to the larger Bethel Church, located in The Hague. It’s unclear who originated the idea, but ultimately Bethel Church began to protect the Tamrazyans through an obscure Dutch law. The law in question prohibits police from interfering with an in-progress church service to make an arrest. Bethel Church recognized an opportunity, whereby on October 26th, 2018, Bethel’s pastors began to preach, and preach. Then preach even more. Bethel Church clerics’ initially rotated to keep the service going 24 hours a day. However after a few days the Protestant Church of The Netherlands gave their blessing to the marathon service, using a newsletter to rally fellow congregations to Bethel’s aid. According to the New York Times, as word of the family’s plight gained national attention, over 450 religious leaders composed of every Christian denomination from around the country and abroad, volunteered their time to keep the Bethel liturgical fillibuster alive. Bethel Church officials met with Dutch authorities as it’s service continued; attempting to resolve the Tamrazyan’s desperate appeal for asylum according to the New York Times. The family of five include three children: Haryarpi, 21, Warduhi, 19, and Seyran, 15. The Tamrazyans fled Armenia in 2010 due to their father’s political activities. The Tamrazyan children feared imminent acts of retribution were they be forcibly returned to the Caucasian nation. The Tamrazyan children have been in The Netherlands for over 5 years. Therefore they qualify under an exception to the usual restrictions on immigration. Dutch authorities however typically deny these requests, including the Tamrazyans’. A petition campaigning to change the existing law subjecting the Tamrazyans for deportation, states that over 400 other children also currently exist in that legal limbo. Furthermore at the time of writing, the petition has over 250,000 signatures. On the ninety-sixth day of the never ending service, the four parties of The Netherlands coalition government finally came to a compromise. 700 families’ cases also previously listed for deportation – including the Tamrazyans – could be reassessed. Politicos correctly foresaw that the children’s cases would receive amnesty. The parents cannot be subjected to deportation, and therefore they will also be permitted to remain. Bethel Church’s congregation concluded it’s marathon service on January 30th, after precisely ninety seven days following the government’s announcement. Now in a recent development, according to a recent statement by Bethel Church, Dutch authorities have given official confirmation that the Tamrazyans will remain in The Netherlands as permanent residents. Their case is part of a wider amnesty for kinderpardon, also addressing 500 of the 700 families in similar situations. The Tamrazyans are finally in the clear. Due in part by the tremendous public support they and others like them have received. In addition to the amazing effort of Bethel Church. The Tamrazyans have finally found their salvation in northwest Europe.